Alfred Hitchcock and Martin Scorsese are among her most ardent admirers. From 1896 to 1920, she directed over 1,000 films, with 150 that still exist and 22 that are feature-length. She was one of the first filmmakers to make movies with a fictional storyline and is thought to be the first female director ever. She was a co-founder of Solax Studios, which eventually was headquartered in Fort Lee, N.J., which was the epicenter of American filmmaking at that time. In 1912, she made the first movie, A Fool and His Money, to feature all-African- American cast. 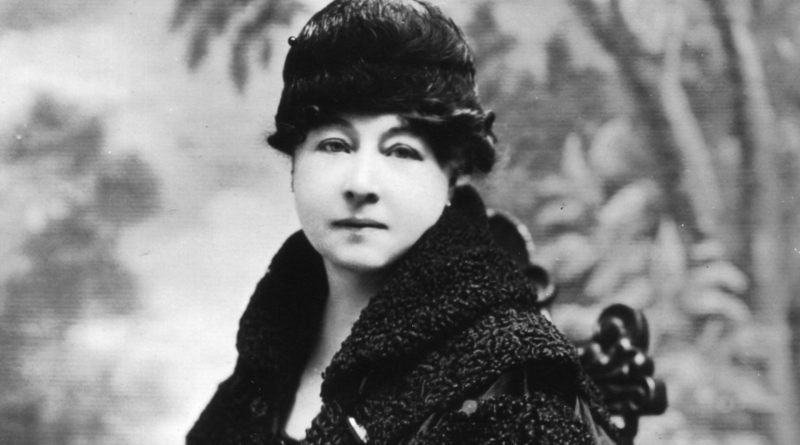 But don’t feel bad if you don’t know recognize the name Alice Guy-Blache, a French-born stenographer turned behind-the camera pioneer during infancy of cinema who died in 1968 at the age of 94. Just be glad that director and co-writer Pamela B. Green has done the hard work for you. With Be Natural: The Untold Story of Alice Guy-Blache, she has delivered an essential documentary for anyone who cares about female voices being celebrated on the big screen. By the end of this two-hour impeccably researched and well-curated production, you will not only learn of Guy-Blache’s well-rounded oeuvre that tackles a varied array of genres — a fantasy about how newborns are found in cabbage patches, social-issue dramas concerning child abuse, marital discord and birth control, slapstick comedies about wayward mattresses, action films with rough and tough dames, a depiction of Christ’s life and an adaptation of The Hunchback of Notre Dame that is titled Esmeralda. But your very notion of what silent films are like might be elevated just by the clips that are featured. This is no Keystone Cops stuff or melodramatic fluff. This is top-notch goods. Green’s primary goal, however, is to solve the mystery of why Guy-Blache rarely gets the credit she deserves for helping to elevate moving pictures into a true art form. Even without sound in the short clips of her work, you get the sense of the poetry of her camerawork and elegant staging of scenes as well as the delightful and deep performances she drew out of her actors. That we get to hear and see Guy-Blache herself talk on camera in interviews from 1957 and 1964, discussing in part why her legacy and contributions aren’t as celebrated or spoken about as her male peers, allows us to feel her presence as an artist, an innovator and someone who lived out her dream. As for why she has been overlooked, let’s just say most film historians are men – and more than a few didn’t dig as deep as Green has. As Green reaches out to Guy-Blache’s relatives, hunts down archival material, seeks out historians and archivists for clues, she also gathers an array of notable Hollywood talking heads. They include Catherine Hardwicke, Julie Taymor, Gale Anne Hurd, Ava DuVernay, Julie Delpy, Geena Davis, Diablo Cody, Lake Bell, Jon Chu and Peter Farrelly, who mostly share their agog reactions to just finding out about the mostly unknown subject of her film. Meanwhile Jodie Foster acts as executive producer as well as narrator. But Green really didn’t need to gather that many familiar faces to hold our attention. As Guy-Blanche would say to her performers, “Be natural.“ But if anyone was a natural star, it was the filmmaker herself. In her nearly 30 years at USA Today, Susan Wloszczyna interviewed everyone from Vincent Price and Shirley Temple to Julia Roberts and Will Smith. Her coverage specialties include animation, musicals, comedies and any film starring Hayley Mills, Sandy Dennis or hobbits. Her crowning career achievements so far, besides having Terence Stamp place his bare feet in her lap during an interview for The Limey, is convincing the paper to send her to New Zealand twice for set visits, once for The Return of the King and the other for The Chronicles of Narnia and King Kong, and getting to be a zombie extra and interview George Romero in makeup on the set for Land of the Dead. Though not impressive enough for Pulitzer consideration, she also can be blamed for coining the moniker "Frat Pack," often used to describe the comedy clique that includes Ben Stiller, Vince Vaughn and Will Ferrell. Her positions have included Life section copy desk chief for four years and a film reviewer for 12 years. She is currently a senior editor for the online awards site Gold Derby. Previously, she has been a freelance film reporter and critic, contributing regularly to RogerEbert.com, MPAA’s The Credits, the Washington Post, AARP The Magazine online and Indiewire as well as being a book reviewer for The Buffalo News. She previously worked as a feature editor at the Niagara Gazette in Niagara Falls, N.Y. A Buffalo native, she earned her bachelor's degree in English at Canisius College and a master's degree in journalism from Syracuse University.